Shrii Prabhat Rainjan Sarkar was a philosopher, social reformer, and spiritual teacher dedicated to the task of planetary transformation. Through his actions and teachings he inspired people to develop themselves to their fullest, and to assume greater responsibility for humanity’s welfare. Sarkar was a renaissance man, multi-faceted in his talents. His diverse achievements invite comparisons with a wide range of historical figures. Like St. Teresa and Shri Ramakrishna, he taught that ultimate human fulfilment comes from attaining mystical union with God. Like Francis of Assisi, he combined the sensitivities of the mystic with a profound commitment to life. Like Jesus and Buddha, he challenged dogmas that stifle the free expansion of human spirit. Like Kabir and Rabindranath Tagore, he gave poetic expression to humanity’s nobler sentiments. Like Martin Luther King and Nelson Mandela, he encouraged active fight against the forces of tyranny. Like Sojourner Truth and Dorothy Day, his motivation for social struggle was rooted in spiritual inspiration. Like Shri Aurobindo and Abraham Maslow, he affirmed the need for humans to grow holistically and become fully self-realized. Like Thomas Jefferson and Leonardo de Vinci, he was a competent generalist, exhibiting mastery and genius in diverse endeavours. Like John Muir and Thomas Banyacya, he warned that humanity must live in benevolent harmony with the rest of nature. And, like Mother Teresa, he worked to serve the downtrodden, viewing service to suffering humanity as service to God. A sampling of Sarkar’s works illustrate the range of his contributions. To help preserve the now-threatened diversity of Gaia’s gene pool, he established a network of botanical gardens which probably contain more plant species—about 50,000 — than any other botanical collection on earth. He also worked to protect animals. At his urging, a number of animal sanctuaries for endangered species were set up in West Bengal. He spoke out passionately against the wanton destruction of wildlife habitats for human land use, and against the cruelty perpetrated against animals used for human food and service. 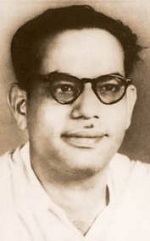 Sarkar composed 5018 songs, more than any past Indian composer. His lyrics express the noblest of human sentiments in a language that appeals to people in all walks of life. Unlike many other composers, his melodies typically blend traditional styles from diverse cultures, reinforcing the universality of his poetry. Sarkar spoke fluently in over 200 languages and had command of most linguistic scripts. Several prominent Bengali linguists have acclaimed his knowledge of etymology, diction, grammar and philology, and his discourses on language are used as texts in several universities. He extended the expressive range of the Bengali language by adding some 18,000 words to its vocabulary, and he made its script more systematic by adding several letters to its alphabet. He also wrote grammar texts for English and Hindi. One of the major unfinished projects of his later years was the dictation of an encyclopedia. Sarkar authored a book of herbal, yogic, ayurvedic and naturopathic treatments for common diseases, and introduced many yogic practices that prevent health problems. Sarkar also formulated the new theory of microvita. This theory is being used to explain subtle healings systems such as homeopathy. Research that he guided in the new field of microvita medicine has led to promising new cures for cancer and other chronic diseases. The system of education Sarkar developed is being used in about 200 schools in Africa and over 1000 in South Asia. The last major projects he undertook before his death were initiating work on a comprehensive new curriculum, extending from pre-school to post-graduate levels, termed Gurukula. In the realm of human services, Sarkar founded a global disaster relief agency and inspired the formation of a wide array of community service projects. His Ananda Marga organization has become one of the world’s largest spiritually-oriented social service missions. The global political organization, Proutist Universal, was inspired by Sarkar’s progressive social philosophy. Proutist Universal has engaged in community economic development, particularly the formation of cooperative enterprises. In India, several proutist regional movements are engaged in populist political struggle. In Togo and Far East Russia, proutist regional development plans have been drafted, which offer programs revitalizing depressed economies. And proutists have participated in dialogues within the international NGO community on the issue of sustainable development. PROUT appeals to people seeking a socio-economic philosophy which can create a sustainable, prosperous, and just society. Because of his progressive views, Sarkar faced continual opposition. He spent most of the 1970s in jail, where he was held without bail on the politically motivated charge of conspiracy. While in prison he was the target of an assassination attempt which led to his undertaking a protest fast lasting over five years. During that period, he maintained himself on two cups of fluids a day—taken only to keep his digestive system from atrophying. Sarkar’s opposition came from those offended by his critiques of religious and political dogmas. A group of religious fundamentalists attempted to immolate him, which left large burn scars on his abdomen. The US State Department refused to issue him a travel visa because of his political beliefs. But the harshest of his opposition came from West Bengal communists. Communist goondas in Calcutta brutally murdered 19 monks in the spiritual order he founded. This was but the most brutal of their many attacks on Sarkar’s spiritual organization. Sarkar’s personal life was devoid of the showmanship, spiritual exploitation, or moral lapses exhibited by many so-called spiritual teachers. His yogic techniques for spiritual, ethical, and physical development are taught without charge. He lived a life of simplicity, and conducted his personal affairs with virtue and decorum, behaving in a manner consistent with his beliefs. Sarkar refused to become a public personality—avoiding all contact with the media or the curious public. Sarkar was also a master of Tantrik meditation techniques. He modified these millennia old spiritual practices for the contemporary psyche, and he trained nearly two thousand meditation teachers, entrusting them with a mission to offer, free of charge, intuitional practices to people seeking spiritual development. There are now people in most countries of the world benefiting from his meditation system. Along with modernizing spiritual practices, Sarkar reinvigorated the perennial philosophy which supports spiritual experience. In his discourses, he addressed the central philosophical issues of our time, resolving the apparent contradictions between science and mysticism, idealism and materialism, action and detachment, immanent and transcendent conceptions of God, relative and absolute views on ethics, and personal and political approaches to liberation. His body of philosophical discourses fill many volumes. Listing Sarkar’s varied talents and accomplishments does little to illuminate the man behind his works. But comprehending his personality is not easy. The difficulty in understanding Sarkar does not arise because he presented himself as a complex person— he invariably impressed people as being quite simple, direct, and consistent. The challenge comes in attempting to fathom the depth of his vision and account for the source of his wisdom. While it is difficult to apprehend Sarkar’s personality, it is not hard to account for his appeal as a heroic figure. He was motivated by a profound sense of mission to promote liberation in its fullest sense. When in good health, and often in poor health, he worked 20 hours a day, seven days a week, to promote human welfare. This depth of commitment inevitably attracted many people. Sarkar reformulated humanism in a philosophy he called “neohumanism.” From the stance of neohumanism, people’s aspirations and achievements are not to be measured in reference to creed, state, social institution, or personal wealth. None of these have worth in and of themselves, but possess value only in so far as they serve to nurture bodies, expand intellects, and elevate souls. He felt that humanity’s future well-being lies in the hands of those motivated by neohumanist sentiment. Sarkar believed that humanity is at a crucial juncture—poised between intensifying chaos on the one hand and emerging planetary renaissance on the other. He urged good people to respond to this predicament by countering the forces fragmenting, oppressing and exploiting humanity. He wanted those inspired by universal love to struggle vigorously to end humanity’s degradation and to unleash its higher potential. This kind of idealistic sentiment held more appeal in the progressive climate of the 60s and early 70s. Participation in moral struggle had less currency in the milieu of the 80s, so dominated by materialism, narcissism, and religious dogmatism. With the onset of the 90s, the tide of history appears to be turning. There is less infatuation with glitter and gluttony, power and prestige. Too many people realize that the biosphere is headed for collapse, sense that the global economy stands on shaky legs, and recognize that the Industrial era worldview cannot sustain humanity’s dreams. In these new times, Sarkar’s vision may have greater appeal. His vision touches upon powerful archetypal sentiments: to live a life of meaning and commitment, to fight for a high ideal, to act out of deep compassion, to protect the life of the community, and to free the mind from constrictive dogmas. These are sentiments that take human life beyond mundane drudgery and existential vacuity, imbuing it with spiritedness, meaning, purpose, and depth. Sarkar took seriously his efforts to nurture moral, loving, and dedicated individuals. Through his example, his songs, his teachings, his spiritual practices, and his sacrifice, he sought to cultivate living examples of human greatness. It was not his aim to gain glory for himself, but to empower others with the stamina, spiritedness, and purity of intent necessary to create a better world. Sarkar’s approach had notable historical precedents. Krishna, Gautama Buddha, Jesus of Nazareth, Swami Vivekananda, and other spiritual figures took much the same tact in their efforts to stir new life into society. Sooner or later Sarkar’s legacy will rejuvenate this ancient archetype of leadership—that of the compassionate and powerful servant, championing the welfare of all life. When it does, humanity will be indebted to this extraordinary man.